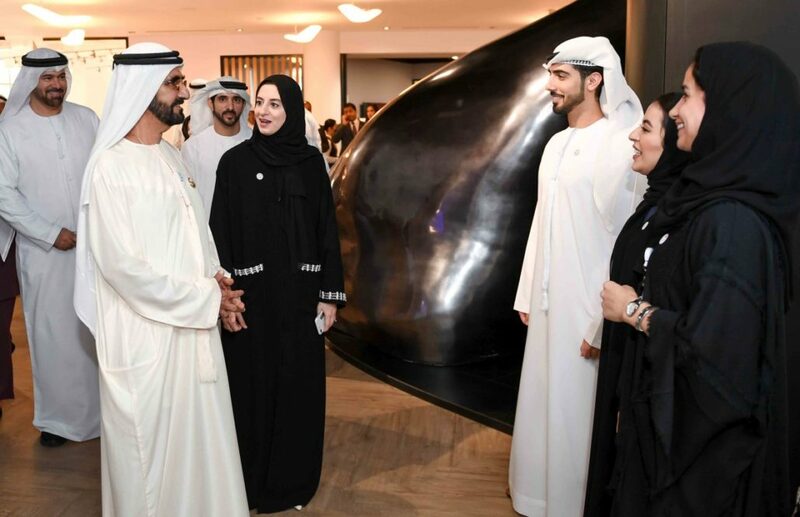 (Dubai) – Vice President, Prime Minister and Ruler of Dubai His Highness Sheikh Mohammed bin Rashid Al Maktoum attended part of training programme about Artificial Intelligence (AI), which was launched by the UAE government in partnership with Oxford University. Sheikh Mohammed was briefed about the training programme by Minister of State for Artificial Intelligence Omar Al Olama. Dubai Crown Prince H.H. Sheikh Hamdan bin Mohammed bin Rashid Al Maktoum; Minister of Cabinet Affairs and Future Mohamed Abdullah Al Gergawi, were also present. The training programme focuses on introducing AI to participants, and the future challenges, in addition to cyber security, data collection and analysis, as well as planning and designing solutions. The training programme also seeks to enable government employees with key skills required to benefit from AI and its applications so they can contribute in achieving The UAE’s Centennial Vision 2071.